This beach is amazing, the sand is white and so soft it’s like walking on powder. I managed to beat the crowds and have virtually the beach entirely to myself. Plus I was lucky enough to have the opportunity to swim with glowing fluorescent plankton when the sun goes down. This is a major tourist attraction and is always rammed with people with longtail boats lined up everywhere, of course this ruins the experience and tranquility of the beach while your there. You can however avoid all that. We stumbled across the Maya Bay Sleep Aboard and I can not recommend this highly enough. They usually they take a group of around 20 at a time, so i’d book as soon as you know when you’ll be there as it fills up fast. It’s a whole day out, they take you to other islands and beaches on route to Maya Bay including Monkey Beach, Bamboo island and Shark Point for some snorkeling, though i didn’t see any sharks. The boat anchors in the bay and you take a smaller boat to the Island. There’s actually a few things you can do. There’s a bit of an adventure trail across to the back of the islands with tunnels and rope swings to navigate, you can hike to the view point near the top of the cliff or just chill on the beach and watch the sunset. The sand on the beach is so soft, I’ve never felt any beach like it, it’s like walking on flour. When night falls we all gather together and introduce ourselves and play some games and of coarse eat and drink what was brought along by the staff. Around 23:30-midnight we made our way back to the boat, but that wasn’t the end. We went snorkeling in the dark, are you mad? you might be thinking, but there was reason behind our madness. At night tiny little plankton come alive in the bay and when your in the water your movement makes the plankton respond with light. I was transfixed and just had my head down in the water doing what can only be described as a doggy paddle watching with amazement as the plankton wafted around glowing bright yellow before my eyes. When I eventually looked up i realised I’d floated off a fair distance, so just keep that in mind to keep one eye on the boat, I had a bit of a swim to get back. We were all made to put life jackets on before getting in, so that helped. The party carries on on the boat until you drop, i think there was only 5 of us awake including 2 staff chatting at the back of the boat when we finally gave in and fell asleep. The following morning your back on the beach for a bit, get a group shot. Then its head back to phi phi, stopping for some more snorkelling on the way. Famous turquoise cove & white sand beach sheltered by 100-meter high limestone cliffs on three sides. It was made famous by the movie ‘The Beach’ featuring Leonardo Di Caprio, which was filmed there in 2000. Maya Bay will be closed to the public from June-September 2018. With the amount of visitors the coral and marine life are being badly affected, so in order to help rejuvenate the park, the bay will be closed to all boats for four months during the low season. 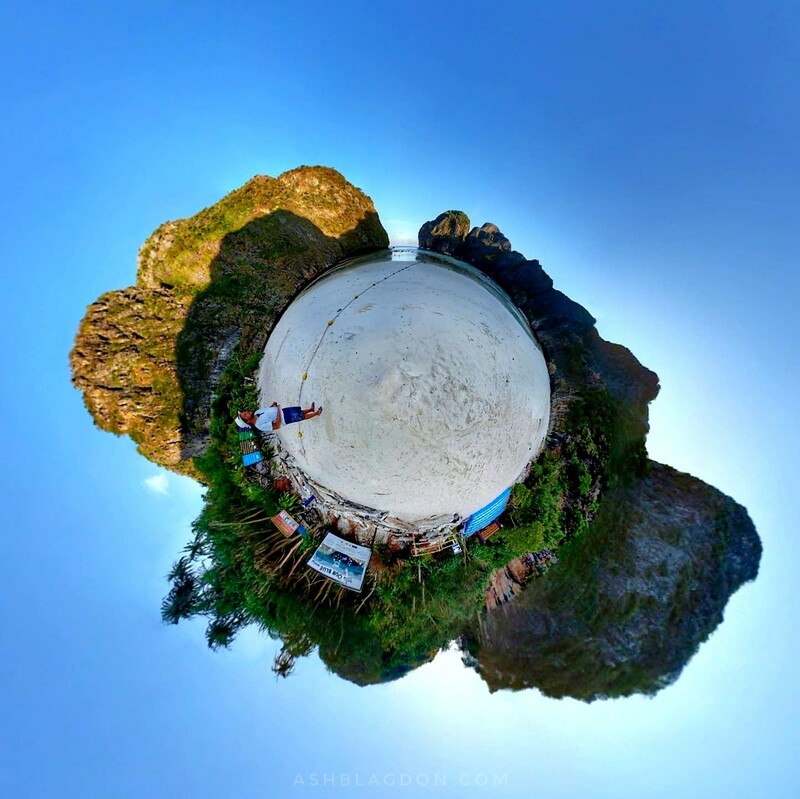 However, tourists will still be able to visit the famous beach as their boats will land in Samah Bay, and the tourists can then walk across the island to Maya Bay. This could become an annual thing. Only accessible by boat. There are many tours around especially longtails, but you get there and every man and his dog will be to. The beach gets rammed as soon as the sun comes up to dusk. I would recommend the sleepabord that way you can wave everyone off and then it’s just you and your small group left with the beach to yourselves. Sleep Aboard meet at the main ferry pier between 2.30pm and 2.45pm. If you choose to go via longtail, then you’ll want to be up and on your way as soon as they let you. Don’t waste your time taking a longtail day trip and do the sleep aboard. Sleep Aboard for 1 adult 3500 THB (£80). Book as soon as you know when you’ll be there as it fills up fast. The boat leaves at 3pm and returns to the pier by 10am the next day. Take some money with you if you would like more drink, there is a bar with alcoholic drinks for sale 100 THB for 1 beer and 250 THB for 1 bucket. 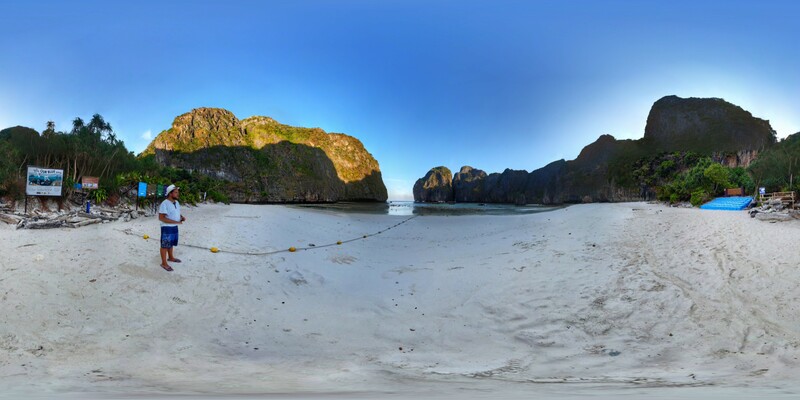 Have you been to Maya Bay?